We played some games using the conventional signs from Ordnance Survey maps. Scouts matched signs with their meanings. Should come in handy later in the term! 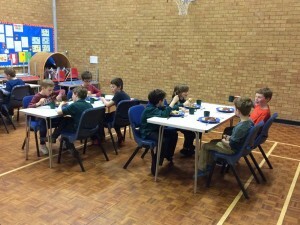 An evening of indoor games. We all see and feel the work of Parliament in our lives but what goes on behind the scenes? 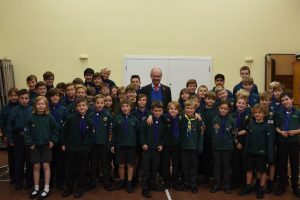 Peter Lilley (MP for Hitchin and Harpenden) visited 11th Hitchin (Christchurch) Scout Group on the 3rd of November to tell Cubs and Scouts about the work of Parliament and how our laws are made. 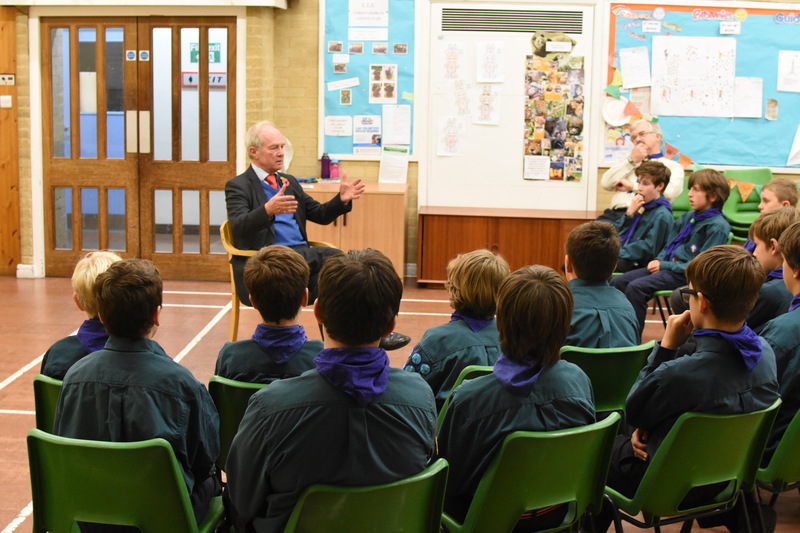 Mr Lilley visited as part of UK Parliament Week (14-20 November) and gave Cubs and Scouts an opportunity to hear about the House of Commons, the House of Lords and what really happens as laws go from an idea to reality. 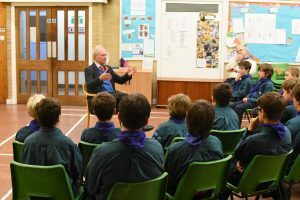 A fascinating evening for the Cubs and Scouts to talk with their constituency MP and we would like to thank Mr Lilley for giving up his time and coming to visit us. If you have ever heard the phrase ‘Toe the line’ then this comes from the two red lines running lengthways down the Commons chamber. MPs are not allowed to speak from the floor of the House between these lines and if they ‘cross the line’ then the House will call from them to ‘toe the line’ and stand behind the red lines. Tradition says that these lines are two sword-lengths apart to prevent MPs duelling! Every year we have either ‘Mums and Cubs’ or ‘Dads and Cubs’ and this year it was Dads and Cubs. The Cubs showed their Dads how to play lots of exciting games (not that the Dads were competitive) and showed them how to navigate using a map in the rain! 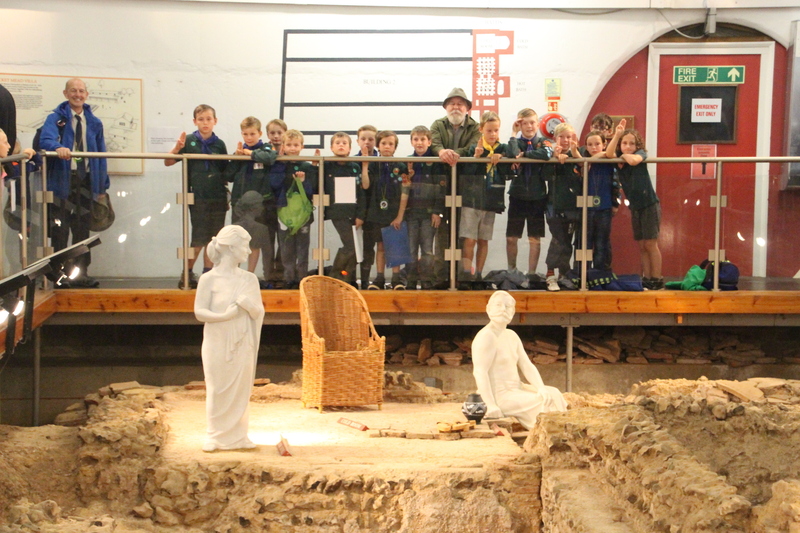 We walked over the Roman Baths at Welwyn and this was the first time for most of the Dads. 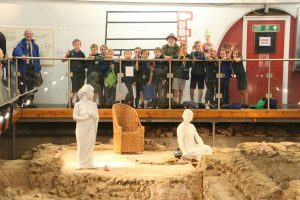 Best of all we even got to meet Tony Rook who found the original baths just before the A1(M) went over the top of them. A good time was had by all and next year it is the Mum’s turn! Well we had a great time (as usual) at PACCAR camp site with lots of activities (abseiling, caving, walking, shooting, orienteering and go-karts). This time the weather smiled on us and we had sunshine all the time. The Beavers visited us and spent some time finding out what Cub Scouts do and why we have so much fun. 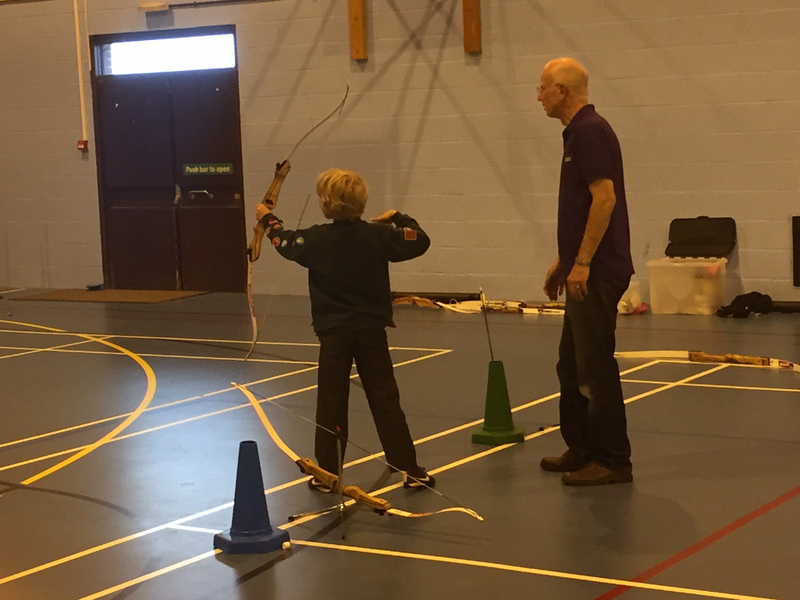 Cub Scouts is all about the ‘Everyday Adventure’ and we had a climbing and archery evening at the Priory School on Wednesday. 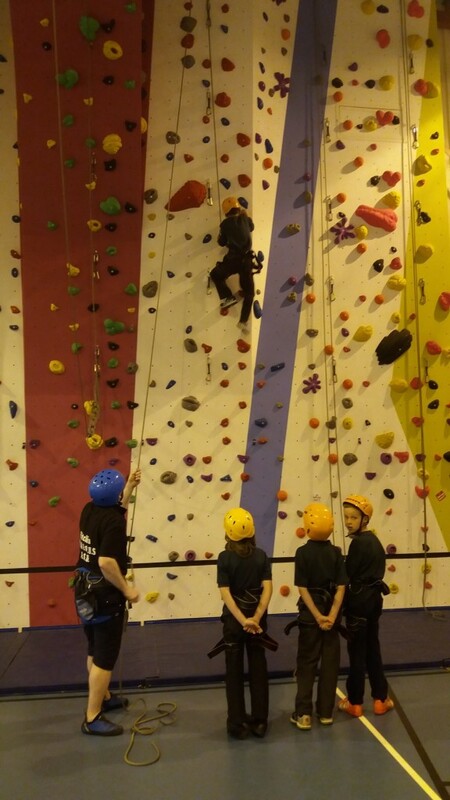 The climbing wall is a full size indoor climbing wall and the Cubs had a great time. Thanks to Danielle Weetman and Paul Scourfield for the photos. It does go up a long way! A great evening that we will repeat in the future. It is always exciting to see Hitchin’s Scouts and Guides out ‘en masse’ in the town and to see what a huge organisation we are in Hitchin. 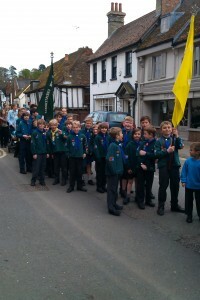 11th Cubs were part of the parade and we all re-made our promises and had a great time in the Market Square. The rain held off and a good time was had by all. PS: You can even see my office in the background! 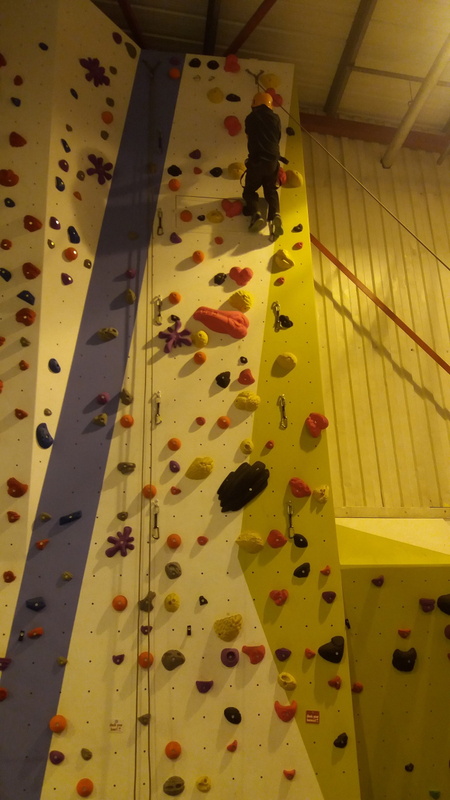 Another term over and done and lots of exciting activities (and some badge work as well) but we have one last thing to do to complete the Spring Term. 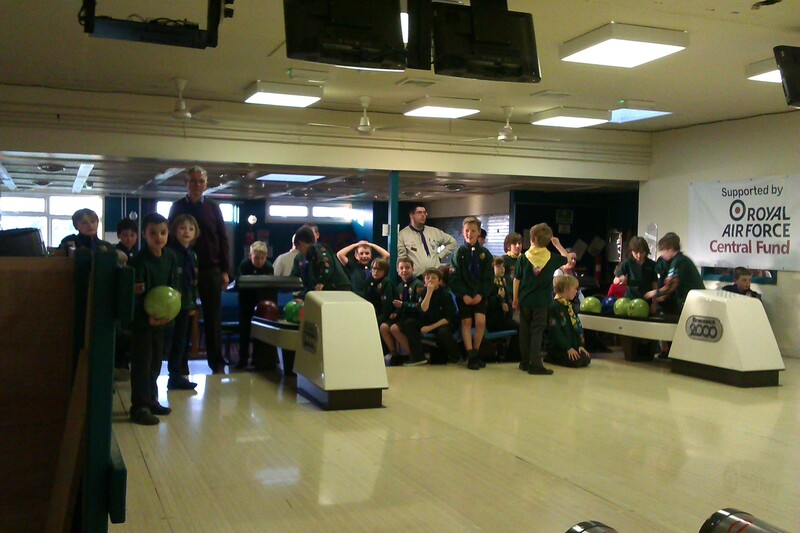 The bowling at RAF Henlow last night was the final part of the Six competition and the results were nail biting! At the start of the night we had 4 Sixes separated by only 4 points (80-84) – there was all to play for. Well done to Yellow Six and they will get to wear the ‘Cubs 100’ Neckerchiefs for the next term. Green Six (last term’s winner) will hand over the special neckerchiefs at the start of the first meeting in next term to Yellow Six as the competition winners bask in the glory. Where else do you go for 10-pin bowling other than your local RAF base? RAF Henlow is our local base and they have an excellent 4 lane bowling alley that is available for local people (not just for organisations but also for public). It is a great site and we can take the Cubs bowling and keep them under supervision because we have the whole of the bolwing area to ourselves. 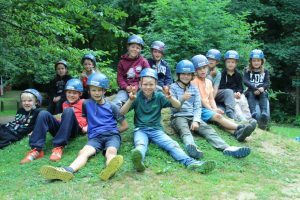 The Cubs had a great time and the winners were Yellow Six (Felix and Gideon were the highest scorers) with the Leaders struggling far behind! 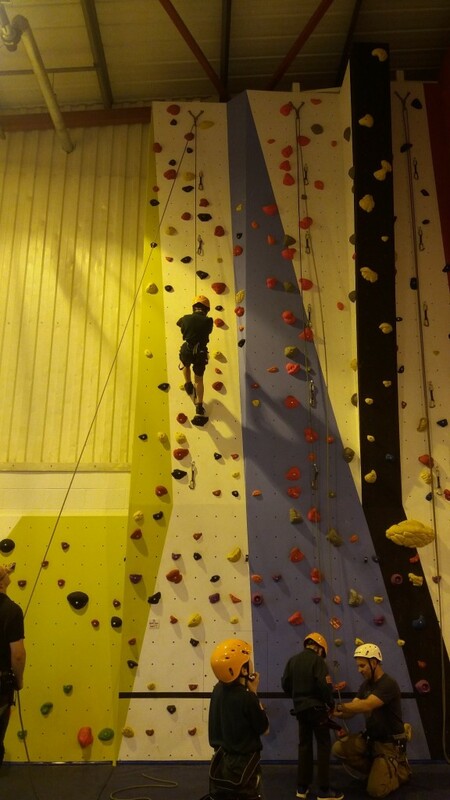 Back next term with more of the everyday adventure. 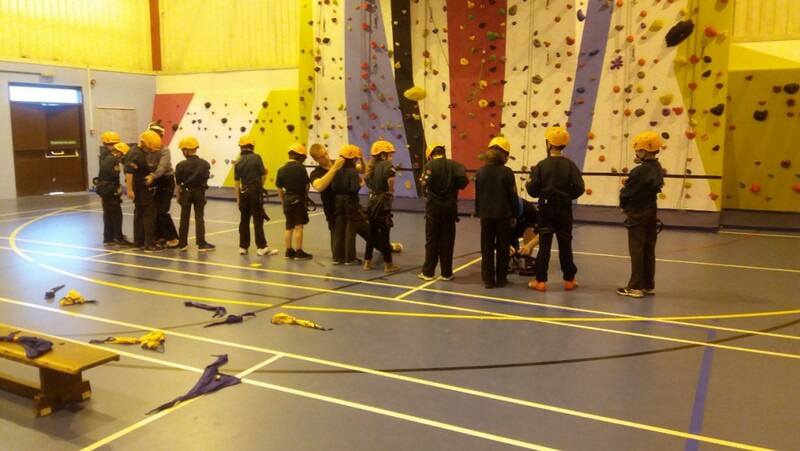 Another great Winter Camp spent out and about in Bedford. Although the forecast was not so good, it turned out OK in the end. We did orienteering around the church, a walk through the Bedford lakes to the Higgins Museum and then lots of activities in the church. 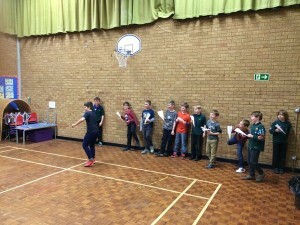 Dodgeball, paper planes and dice games are always a favourite. 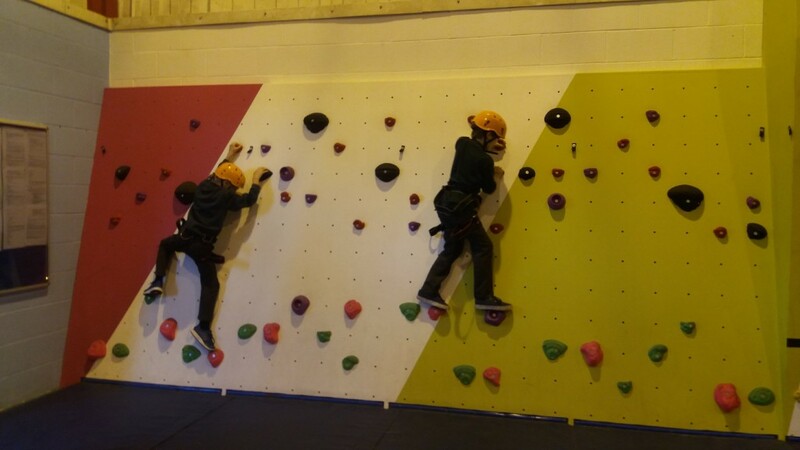 Winter camp is a way to get out in the colder months and a lot of fun was had by all.